Our Tim reckons one of World of Warcraft’s biggest problems is the barriers that remain between new players and that excellent endgame. There’s one fewer of those today, however: WoW’s standard edition now includes three of its four expansions. As of today, the World of Warcraft package formerly known as the Battle Chest incorporates The Burning Crusade, Wrath of the Lich King and Cataclysm – leaving only last year’s Mists of Pandaria as a full-priced expansion. So that’s $19.99 for most of Blizzard’s work on the MMO in the last ten years – excluding subscription costs, of course. But lest we forget, the first 20 levels of the game are entirely free to play these days. “With these changes, we’re making it easier than ever for new players to begin their epic adventures in Azeroth and join in on the fun,” say Blizz. Existing subscribers will find that they have access to all of Cataclysm’s features and areas too, as you’d hope. A new retail edition of the base package will begin appearing in real, tangible videogame shops soon, and you can find the digital version of the battle.net store. 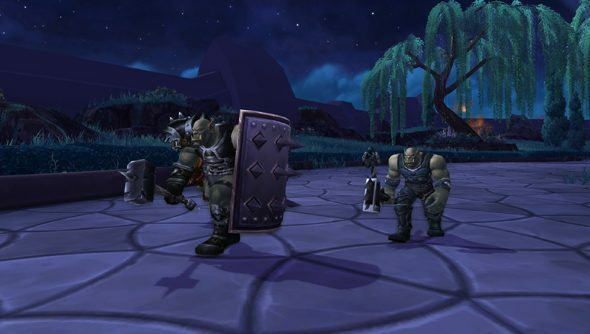 Oh: and here’s why now is the time to return to World of Warcraft. Tempted?